This article is about the year 1876. For the novel by Gore Vidal, see 1876 (novel). Wikimedia Commons has media related to 1876 . 1876 ( MDCCCLXXVI ) was a leap year starting on Saturday of the Gregorian calendar and a leap year starting on Thursday of the Julian calendar , the 1876th year of the Common Era (CE) and Anno Domini (AD) designations, the 876th year of the 2nd millennium , the 76th year of the 19th century , and the 7th year of the 1870s decade. As of the start of 1876, the Gregorian calendar was 12 days ahead of the Julian calendar, which remained in localized use until 1923. The Reichsbank opens in Berlin. The Bass Brewery was founded in 1777 by William Bass in Burton-upon-Trent, England. The main brand was Bass Pale Ale, once the highest-selling beer in the UK. By 1877, Bass had become the largest brewery in the world, with an annual output of one million barrels. Its pale ale was exported throughout the British Empire, and the company's distinctive red triangle became the UK's first registered trade mark. February 2 – The National League of Professional Base Ball Clubs is formed at a meeting in Chicago; it replaces the National Association of Professional Base Ball Players. Morgan Bulkeley of the Hartford Dark Blues is selected as the league's first president. February 2 – Third Carlist War – Battle of Montejurra: The new commander General Fernando Primo de Rivera marches on the remaining Carlist stronghold at Estella, where he meets a force of about 1,600 men under General Carlos Calderón, at nearby Montejurra. After a courageous and costly defence, Calderón is forced to withdraw. February 14 – Alexander Graham Bell applies for a patent for the telephone, as does Elisha Gray. February 19 – Third Carlist War: Government troops under General Primo de Rivera drive through the weak Carlist forces protecting Estella, and take the city by storm. February 22 – Johns Hopkins University is founded in Baltimore. February 24 – The first stage production of the verse-play Peer Gynt by Henrik Ibsen premieres, with incidental music by Edvard Grieg, in Oslo (then called Christiania), Norway. February 26 – The Japanese force the Korean government to sign the Japan–Korea Treaty of 1876 (having brought a fleet to Incheon, the port of modern-day Seoul), opening three ports to Japanese trade and forcing Korea's Joseon dynasty to cease considering itself a tributary of China. On China's urging, Korea also signs treaties with the European powers, in an effort to counterbalance Japan. February 28 – Third Carlist War: The Carlist forces do not succeed, and the promises are never fulfilled. The Carlist pretender Carlos, Duke of Madrid, goes into exile in France, bringing the conflict to an end after four years. February – March – The Harvard Lampoon humor magazine is founded in Cambridge, Massachusetts. March 10 – Alexander Graham Bell makes the first successful telephone call, saying "Mr. Watson, come here, I want to see you". 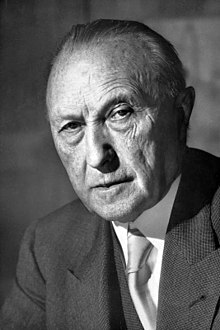 March 20 – Through constitutional reform taking legal effect, Louis De Geer becomes the first Prime Minister of Sweden. The Reichsbank (help·info) was the central bank of Germany from 1876 until 1945. It was founded on 1 January 1876. The Reichsbank was a privately owned central bank of Prussia, under close control by the Reich government. Its first president was Hermann von Dechend. Before unification in 1871, Germany had 31 central banks – the Notenbanken. Each of the independent states issued their own money. In 1870, a law was passed that forbade the formation of further central banks. In 1874, a draft banking law was introduced in the Reichstag. After several changes and compromises, the law was passed in 1875. 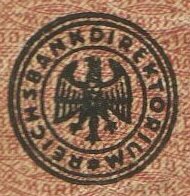 Despite the creation of the Reichsbank, however, four of the Notenbanken – Baden, Bavaria, Saxony and Württemberg – continued to exist until 1914. April 16 – The April Uprising in Bulgaria occurs. April 17 – Friends Academy is founded by Gideon Frost at Locust Valley, New York. May – April Uprising (Bulgaria): Batak massacre – Bulgarians in Batak are massacred by Ottoman troops. The number of victims ranges from 3,000 to 5,000, depending on the source. 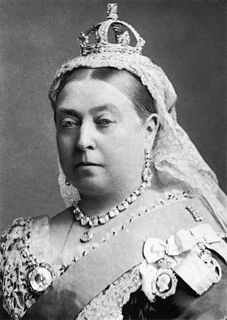 The Royal Titles Act 1876 confers the title Empress of India upon Queen Victoria. The Settle–Carlisle Railway in England is opened to passenger traffic (it opened to goods traffic in 1875). 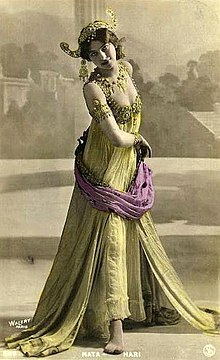 The Royal Titles Act 1876 was an Act of the Parliament of the United Kingdom which officially recognized Queen Victoria as "Empress of India." May 10 – The Centennial Exposition begins in Philadelphia. May 11/12 – Berlin Memorandum: Germany, Russia and Austria-Hungary propose an armistice between Turkey and its insurgents. May 16 – British Prime Minister Benjamin Disraeli rejects the Berlin Memorandum. May 18 – Wyatt Earp starts work in Dodge City, Kansas, serving under Marshal Larry Deger. June 4 – The Transcontinental Express arrives in San Francisco via the First Transcontinental Railroad, 83 hours and 39 minutes after having left New York City. June 17 – American Indian Wars: Battle of the Rosebud – 1,500 Sioux and Cheyenne, led by Crazy Horse, beat back General George Crook's forces at Rosebud Creek in Montana Territory. Jun 19 – Jászkunság, the last remnant of Kunság within Austria-Hungary, is disestablished. June 25/26 – American Indian Wars: Battle of the Little Bighorn. 300 men of the U.S. 7th Cavalry Regiment under Lieutenant Colonel George Armstrong Custer are wiped out by 5,000 Lakota, Cheyenne and Arapaho, led by Sitting Bull and Crazy Horse. Punch cartoon from June 17. Russia preparing to let slip the "Dogs of War", its imminent engagement in the growing Balkan conflict between Slavic states and Turkey, while policeman John Bull (Britain) warns Russia to take care. The Slavic states of Serbia and Montenegro would declare war on Turkey two weeks later. July 1 – Serbia declares war on the Ottoman Empire. July 2 – Montenegro declares war on the Ottoman Empire. July 8 – Reichstadt Agreement: Russia and Austria-Hungary agree on partitioning the Balkan Peninsula. July 13 – The prosecution of Arthur Tooth, an Anglican clergyman, for using ritualist practices begins. August 1 – Colorado is admitted as the 38th U.S. state. August 8 – Thomas Edison receives a patent for his mimeograph. August 13 – Richard Wagner inaugurates the Bayreuth Festival. August 31 – Murad V, Sultan of the Ottoman Empire, is deposed and succeeded by his brother Abdul Hamid II. September 5 – Gladstone publishes his Bulgarian Horrors pamphlet. September 7 – In Northfield, Minnesota, Jesse James and the James–Younger Gang attempt to rob the town's bank, but are surrounded by an angry mob and nearly wiped out. September 12 – King Leopold II of Belgium hosts the Brussels Geographic Conference, on the subject of colonizing and exploring central Africa. By the event's conclusion, a new international body named the International African Association (indirect forerunner of the modern Congo state) is established. Serbia, officially the Republic of Serbia, is a country situated at the crossroads of Central and Southeast Europe in the southern Pannonian Plain and the central Balkans. The sovereign state borders Hungary to the north, Romania to the northeast, Bulgaria to the southeast, North Macedonia to the south, Croatia and Bosnia and Herzegovina to the west, and Montenegro to the southwest. The country claims a border with Albania through the disputed territory of Kosovo. Serbia's population is about seven million. Its capital, Belgrade, ranks among the oldest and largest citiеs in Europe. A declaration of war is a formal act by which one state goes to war against another. The declaration is a performative speech act by an authorized party of a national government, in order to create a state of war between two or more states. October 4 – Texas A&M University opens for classes. October 6 – The American Library Association is founded in Philadelphia. October 31 – The great 1876 Bengal cyclone strikes the coast of modern-day Bangladesh, killing 200,000. November 1 – The British Colony of New Zealand dissolves its 9 provinces, and replaces them with 63 counties. November 2 – A giant squid, 6.1 meters long, washes ashore at Thimble Tickle Bay in Newfoundland. November 4 – The long-awaited First Symphony of Johannes Brahms has its première at Karlsruhe, under the baton of Otto Dessoff. November 7 – U.S. presidential election, 1876: After long and heated disputes, Rutherford B. Hayes is eventually declared the winner over Samuel Jones Tilden. A failed grave robbery of the Lincoln Tomb takes place on the same night. November 10 – The Centennial Exposition ends in Philadelphia, Pennsylvania. November 23 – Corrupt Tammany Hall leader William Marcy Tweed (better known as Boss Tweed) is delivered to authorities in New York City, after being captured in Spain. November 25 – American Indian Wars: Dull Knife Fight – In retaliation for the dramatic American defeat at the Battle of the Little Bighorn, United States Army troops under General Ranald S. Mackenzie sack Chief Dull Knife's sleeping Cheyenne village at the headwaters of the Powder River (the soldiers destroy all of the villagers' winter food and clothing, and then slash their ponies' throats). November 29 – Porfirio Díaz becomes President of Mexico. December – The first American edition of Mark Twain's The Adventures of Tom Sawyer is published by the American Publishing Company; a British edition has appeared in early June in London with the first review appearing on June 24 in a British magazine. December 5 – The Brooklyn Theatre fire kills at least 278, possibly more than 300. December 6 – The first cremation in the United States takes place, in a crematory built by Francis Julius LeMoyne at North Franklin Township, Washington County, Pennsylvania. December 23 – Constantinople Conference opens. December 29 – The Ashtabula River railroad disaster occurs in Ohio when a bridge collapses leaving 92 dead. The Northern Chinese Famine of 1876–79, which will claim 30 million lives and become the 5th worst famine in recorded history, begins after the droughts of the previous year. Tanzimat ends in the Ottoman Empire. Heinz Tomato Ketchup is introduced. Adolphus Busch's brewery, Anheuser-Busch in St. Louis, Missouri, first markets Budweiser, a pale lager, as a nationally sold beer. Charles Wells opens his brewery, based in Bedford, England. In Düsseldorf, German company Henkel is founded. Lyford House, by Richardson Bay, Tiburon, California, is constructed. Construction of Spandau Prison in Berlin is completed. Samurai are banned from carrying swords in Japan, and their stipends are replaced by a one-time grant of income-bearing bonds. The Conchological Society of Great Britain & Ireland is founded. Lars Magnus Ericsson and Carl Johan Andersson start a small mechanical workshop in Stockholm, Sweden, dealing with telegraphy equipment, which grows into the worldwide company Ericsson. Heinrich Schliemann begins excavation at Mycenae. Stockport Lacrosse Club, thought to be the oldest existing lacrosse club in the world, is founded at Cale Green Cricket Club in Davenport (they still play there in the 21st century). 1877 (MDCCCLXXVII) was a common year starting on Monday of the Gregorian calendar and a common year starting on Saturday of the Julian calendar, the 1877th year of the Common Era (CE) and Anno Domini (AD) designations, the 877th year of the 2nd millennium, the 77th year of the 19th century, and the 8th year of the 1870s decade. 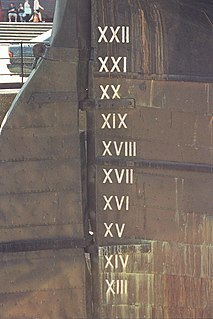 As of the start of 1877, the Gregorian calendar was 12 days ahead of the Julian calendar, which remained in localized use until 1923. ↑ "United Kingdom Intellectual Property Office". ↑ Powers, Thomas. "How the Battle of Little Bighorn Was Won". Smithsonian Magazine. ↑ Dewey, Melvil (1876). A Classification and Subject Index for Cataloguing and Arranging the Books and Pamphlets of a Library. OCLC 78870163 . Retrieved 2012-07-31. ↑ van Dulken, Stephen (2001). Inventing the 19th Century. London: British Library. pp. 104–5. ISBN 0-7123-0881-4. ↑ ja:日本経済新聞#沿革 (Japanese language). Retrieved 2017-10-03.